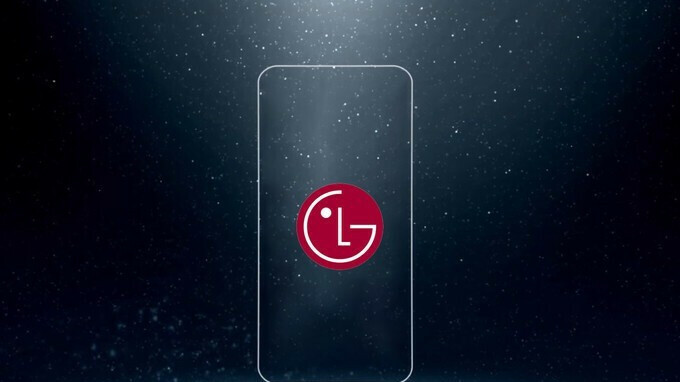 LG changing strategy in a bid to turn smartphone fortunes around, will release new models "when it is needed"
Yesterday, we reported on LG's apparent plans of delaying the announcement of its G7 flagship model to mid-March. Today, the Korean company revealed its intentions of changing its entire smartphone strategy in order to try and bring its mobile division back to profitability. Jo Seong-Jin, CEO of LG Electronics, disclosed some interesting information when speaking to Korean media at CES 2018. When asked for a potential ETA of the announcement of the G7, the chairman said that LG will unveil future handsets "when it is needed" and won't necessarily do announcements in unison with rival companies. Jo also said that there are plans for keeping high-end smartphones in vogue for longer by using different methods such as releasing more variants of said models. The CEO didn't cite the financial struggles of LG's mobile division as a reason for the change of strategy, instead stating that it is important to retain a good platform for a long time while also mentioning that there are concerns about the supply of materials for lithium batteries. As a reminder, LG is expected to report a financial loss for Q4 2017. If this happens, this would mean that the company's mobile division will be in the red for the 11th straight quarter. It will be interesting to see whether these changes will turn LG's smartphone fortunes around. LG: when you announce a product, make sure it's available within 2 weeks of that date, and available at all carriers. People forget about the device if it isn't available a month after you announced it. Also stop trying to go toe to toe with samsung/apple. Releasing against Samsung is just not smart business especially when samsung gets first dibs on the new processors like it has the past couple years. Trying to release your current flagship with the previous years processor (even tho it is still a very capable) is just asking to take a loss in a world where everybody wants the latest and greatest. Agree and hire a clever marketing team. I haven't seen any LG V30 ads during the NFL playoffs or during any other sporting events. But I have seen plenty of iPhone X, Galaxy Note 8, and Pixel 2 ads. Even Motorola had a few good commercials and LG has really missed some good opportunities to show the world they have some great products too. I think this next flagship will really drive it home. I've only had phones from two manufacturers since switching to Android. Sony and LG. Very pleased with my V20 but the Pixel 2 and Galaxy S/Note lines have made strong cases for an upgrade. I totally agree. It just seems like common sense that if you announce a device, it should be available within a week so it's fresh in the consumer's mind. Yeah, I went to the tmobile store to get a V30 and they had to go dig in the back for it. One of the same people had never heard of it and it's never been out in the store for display for people to see. It's insane They only had 2. one was a demo, one was retail. Never sold any and never put it out. This is just mind boggling. Agree, their retail presence is terrible. At Best Buy you can barely find an LG phone while Samsungs are everywhere. Tmobile had a V30 back behind the counter where nobody goes, looks like it's off limits. They should concentrate on getting their phones out where people shop. It's really sad. I went to three T-Mobile stores when the phone was supposed to be available in stores and none of them were sent any. When one store finally did get some they never set up a display for it or anything. They just had the G6 display still up and the lone demo unit they had was cracked because one of the reps tightened the security lock too tight. LG really has to take these things into consideration with their next flagship. They really put minimal effort into selling what is probably their best phone to date. Samsung has a huge deal with the NFL. They post quite a few things on their Facebook with "Taken on Galaxy Note 8"
And be sure to give worldwide full features ! Agreed! Just make one or two versions and make them all available worldwide. Apple and Samsung are good at it. LG: not so much. I hope this new strategy pays off for real. Been a fan of LG since the G2 days.. The Optimus G was a beautiful phone. It just couldn’t overcome the group of idiots who liked iOS and the other group of idiots who thought Samsung was the only Android manufacturer. Just release the same phone with same hardware & software features around the world, not the usual lower standard in UK & release withing 3 weeks of announcement & I will return to LG. though I am not a fan of LG ( I use to be way back in the pre-smartphone era when I exclusively purchased LG - from the LG Chocolate < the OG and then the follow up> the LG Dare and the LG s class interface phones ) I do like their designs and want them to continue in the market but .for me, they never were consistent when it came to updates or issues- Now I am talking the LG of over a decade ago. I am pretty sure that administration is all gone but they left a very sour tastes for me and I decided never again to purchase an LG device because of the poor customer service back then (shame the Dare was a heck of a device). With that all said I do believe, just like the auto industry where there were multiple big and small players, it will all consolidated to "The big three". We will see this with mergers and acquisitions and such. IMO, I think we will see Apple ( that's a given) Samsung ( no shock there) and one other player ( one of the Asian Brands) as the sole mobile device manufacture. That's just what I think going by industrial history ( auto, Defense contractors, Computer makers etc..) Whats everyone else thoughts on this? That LG Dare was awesome. Loved that phone. Its a shame about LG... though I can't possibly afford their high-end phones nowadays anyways. I am considering buying an LG smartphone again if I don't have the money for an iPhone SE, and if the Moto E4 doesn't come to my carrier. That said, I do agree with you that we are in the throes of a major consolidation event in the industry. It is true that there are some upstarts that get into the picture, like Razer, but they are fewer than before, and have less backing than before. Companies like HTC, Microsoft, and LG are decidedly on the way out if they can't recover somehow, and once-larger companies like Nokia and BlackBerry, although they have recovered somewhat, are becoming more of a niche in the industry, and are not likely to take a commanding presence. Also, there are companies, like Motorola and Alcatel, that have been sold to Chinese firms in order to keep their brand alive. And then there are the myriad of Chinese brands that grew back in the day when white box distributors were making iPhone clones and the like - companies like ZTE, Oppo, Xiaomi, and others. Then there are the big three: Apple, Samsung, and Huawei. The big three are the only ones that will continue to make larger profits, Apple being by far the biggest of them in terms of profitability. Companies like Lenovo, TCL (BlackBerry, Alcatel), Nokia, and Sony may continue to make a little money, but it will be a struggle for every penny of profit. All others will either fade out of existence, get bought, or roll into some new startup with a new brand name (where the turnover is high). "Jo also said that there are plans for keeping high-end smartphones in vogue for longer by using different methods such as releasing more variants of said models." Isn't this the strategy that so frustrated owners of the G6 and has not worked? 32 GB of memory here with wireless charging and no DAC, 64 GB elsewhere, DAC only in Asia, etc. Because for so long UI looked so dull, phones lacked premium looks, OEM had s**t strategy in general and quality control was bellow average. On the other hand it's really hard to penetrate market that is already established and brands engraved in people's mind. Take a look at Huawei whether you buy midrange or high end or slightly less premium subbrand Honor you either way get a treat. Further more money for value is even greater. I get Huawei tactics, first they give you a lot more than the rest and a lot cheaper then they gradually make the product more expensive but by that time, in the period of 3-4 years they are already in consumers head. LG does the opposite at the first it overprices the phone, then sales are bad and then they sell phone for nothing but phone doesn't sell well at all.Cycle repeats. I suspect LG mobile division still lives in post feature phone era when market was dominated Samsung, Sony and LG. All they had to offer is incremental hardware upgrades each year but that's not enough anymore. V30 is really nice phone. Best LG phone smartphone ever made. No doubt in the Top 5 . I think they should work on this line, at least I see potential here. P10 Plus 6 gig of ram brand new still comes with same price as one plus 5T despite one plus comes with better hardware so how Huawei! is cheap plus resale value aren’t that good. Make no difference if your phone is mediocre due to stiff competition! If they improve their software and updates I may give LG a try. LG bring korean specs to other region 6 gig of ram and 256GB storage.